Digging Into Horrific Las Vegas Shooting, Aftermath, and Investigation on After Hours AM/The Criminal Code Will we ever know why? On an up-to-the-minute edition of After Hours AM/The Criminal Code — True Crime Wednesdays with hosts Joel Sturgis and Eric Olsen — we catch up with the investigation into the horrific October 1 Las Vegas shooting, the aftermath, and media coverage. We talk Vegas tragedy at 10pE; at 9pE, Joel and Eric review the week’s True Crime news and ponder human nature. Here is the current timeline of the tragic events of October 1 in Las Vegas that left 58 people dead and almost 500 wounded while attending the Route 91 Harvest concert, according to Clark County Sheriff Joe Lombardo. Stephen Paddock, 64, avid a video poker player, checked in to Mandalay Bay on Sept. 25. 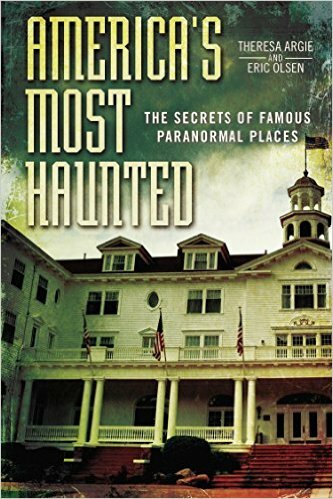 Paddock spent three days in a separate room that the hotel provided free of charge for unknown reasons. Paddock spent the remaining days in the corner suite where he staged his attack. Though Paddock checked in about a week before the shooting occurred, he did not remain in Las Vegas, but traveled to Mesquite several times in the days leading up to Oct. 1. A bellman helped Paddock bring bags up to his 32nd-floor suite on at least two separate occasions. Authorities have yet to spot any red flags about Paddock’s actions leading up to Oct. 1 that may have signaled his planned ambush. Doctors have begun Paddock’s autopsy and thus far an examination of his brain revealed no abnormalities. There is no toxicology report yet. Dr. Steven Winkler of Henderson prescribed Paddock an anti-anxiety drug in June – the investigation has not identified any other physicians who treated him. 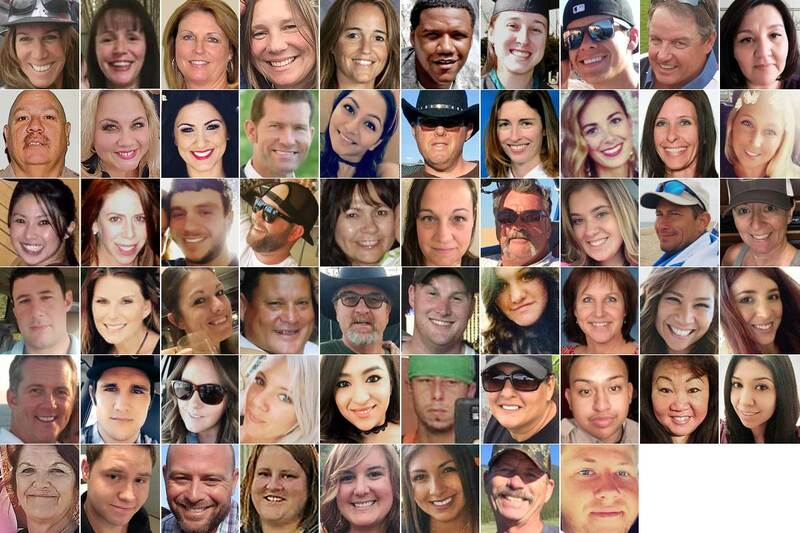 The night of the shooting, there were 51 Metropolitan Police Department officers working overtime to staff the Route 91 Harvest festival and those officers formed several strike teams to find and take down the suspect when the shooting began, but the echoes of gunfire created confusion, leading to false reports of gunshots at multiple Strip locations, Medics were also dispatched to several different locations because some gunshot victims were able to run from the festival and then call for help. Prior to his assault on the crowd, Paddock opened fire down the hallway of the 32nd floor, injuring Mandalay Bay security guard Jesus Campos. The unarmed guard was on the floor responding to a door left ajar when he heard the sound of drilling coming from Paddock’s room. 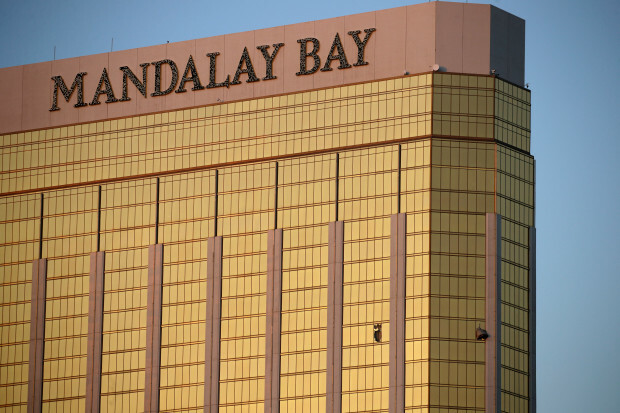 The guard was shot in the thigh, and though Paddock fired more than 200 rounds down the hall and into nearby rooms, no one else in the hotel was injured. After the guard was shot, he radioed Mandalay Bay security, who then reported the shooting to police. The sheriff commended hotel staff for their response. 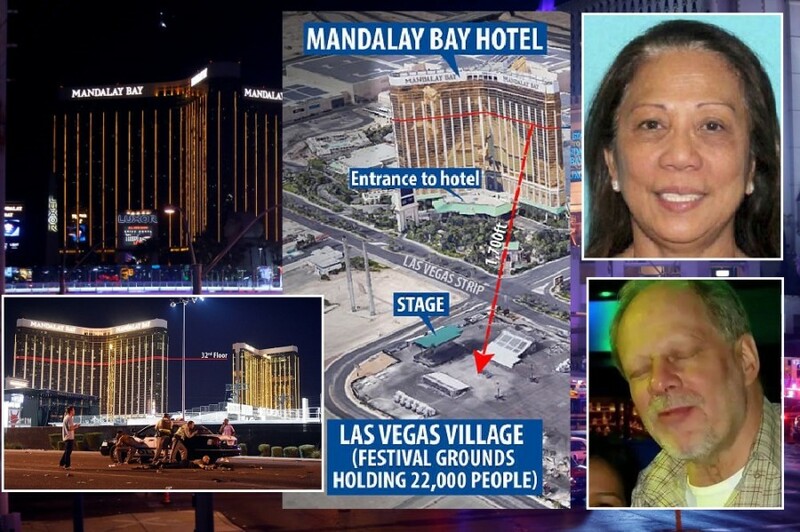 Neither Paddock’s girlfriend Marilou Danley nor the shooter’s brother, Eric Paddock, have been cleared of wrongdoing by investigators.